« I’m sorry, but someone needs me more. I lost it. Bawled like a blubbering baby. Yet the people around the table didn’t look at me weird. Instead they looked at me as a fellow parent. They I am sure felt some of the pain I was as I processed the struggles Dude faces daily at school. They are who I trust with my child 5 days a week. Who I trust to have enough compassion to try their best to support him through the tough moments, encourage him, and praise him when he overcomes. They’ll tell me they’re just doing their job. They do it for other kids. Trust me they could teach a different sort of class. A class on empathy. A class on positivity, a class on what being an educator really means. Some will argue “they get lots of days off”, “they get paid well”. How do you put a price tag on keeping a child safe? Keeping a child involved? Switching gears every moment of the day to keep up with the rapid changes? Keeping a child calm, peaceful and at the same time educating them not only academically but on life? No these people are not just doing their job. These people are helping us to keep our child afloat, they’re learning with us,and they’re willing to. As educators I think you look for answers, you problem solve. With bipolar those answer s are often not there, yet they try day after day to make that day,that moment a success. Some they win,some they loose. But the fact that they stand strong with us,as a united team in this journey is more than I can ask for, and more than I expected. So thank you. 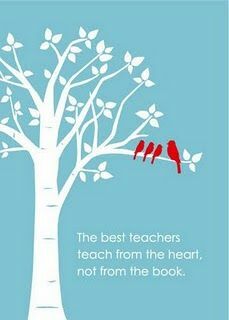 Those teacher’s that care enough to empathize, support, educate yourself and continue to say your just doing your job. To you you may just be doing that, to us parents walking this path you’re doing so so much more. This entry was posted on February 22, 2014 at 12:28 am and is filed under kids mental health, mental health,bipolar,kids,parenting,acceptance. You can follow any responses to this entry through the RSS 2.0 feed. You can leave a response, or trackback from your own site.